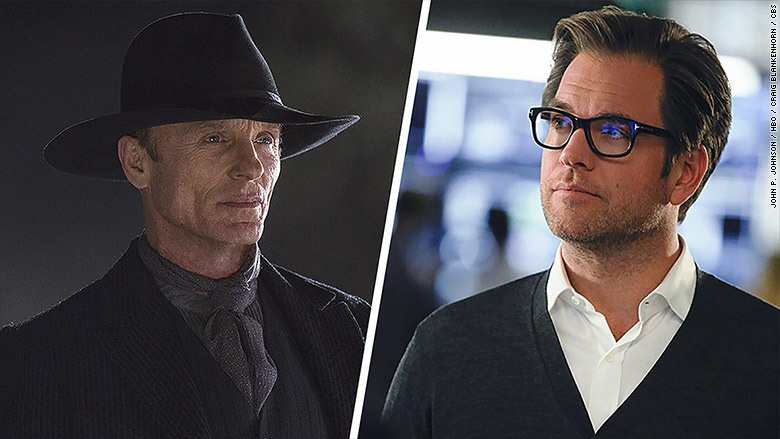 "Westworld" -- which concludes its first season Sunday -- has drawn considerably fewer viewers than "Bull," a new CBS courtroom drama. But you'd hardly know that from the media coverage, which has blanketed the former and mostly ignored the latter. The major networks were widely seen as playing it safe this fall, taking a page from CBS' steady-as-she-goes playbook. Yet in pursuing bulk over buzz and eyeballs over edginess, they have potentially ceded even more ground in prestige and viewer passion to cable and streaming services. That includes not only "Westworld" but such offerings as HBO's "Insecure," Netflix's "Gilmore Girls" revival, FX's "Atlanta" and Amazon's "Good Girls Revolt." While the ratings are low for most of those shows -- or in the case of the streaming entities, which don't divulge viewership, not even made public -- they have sucked up oxygen and critical accolades, generating the sort of attention that premium services use to help market themselves. By contrast, as the major networks take inventory heading into midseason, the overall scorecard indicates that with few guts comes relatively little glory. The networks have enjoyed some ratings successes. The fall has produced likely keepers, including "Bull," which stars "NCIS" alum Michael Weatherly as a jury consultant; and "Kevin Can Wait," Kevin James' new sitcom. The same goes for Fox's "Lethal Weapon" adaptation and "Designated Survivor," an ABC drama starring Kiefer Sutherland, whose character becomes President after a devastating act of terrorism, although its numbers have drifted downward. The real standout, however, has been one of the few shows that has earned both positive reviews and falls well outside its network's creative wheelhouse: "This is Us," a two-tiered family drama, has been a breakout hit for NBC -- and by far the most-watched new program among adults age 18-49, the prime demographic used to negotiate ad time. Sticking to a strategy that has become more apparent in recent years, the networks have been slow to pull their underperforming shows, a departure from the blink-and-you-missed-it cancellations of the past. Executives say that simply makes sense, since abrupt changes tend not to yield improvement, and letting a show play out episodes affords them time to market replacements. There are also additional metrics to evaluate, as more viewers engage in delayed viewing, or find programs on streaming platforms. International sales are another consideration. In most cases, though, such patience has merely delayed the inevitable. ABC is allowing the drama "Notorious" to keep running but reduced the episode order, basically using the show as a placeholder until "Scandal" returns in January -- and hopefully gives its Thursday lineup a needed boost. Can the networks improve their fortunes in the new year? That remains to be seen, but there will be a flurry of high-profile new programming, including many with familiar names. NBC, for example, will introduce "The New Celebrity Apprentice," hosted by Arnold Schwarzenegger, on January 2, while Fox premieres "24: Legacy" -- with Corey Hawkins replacing Sutherland as the lead -- in February after the Super Bowl. Until then, as they say on "Bull," the jury is out.